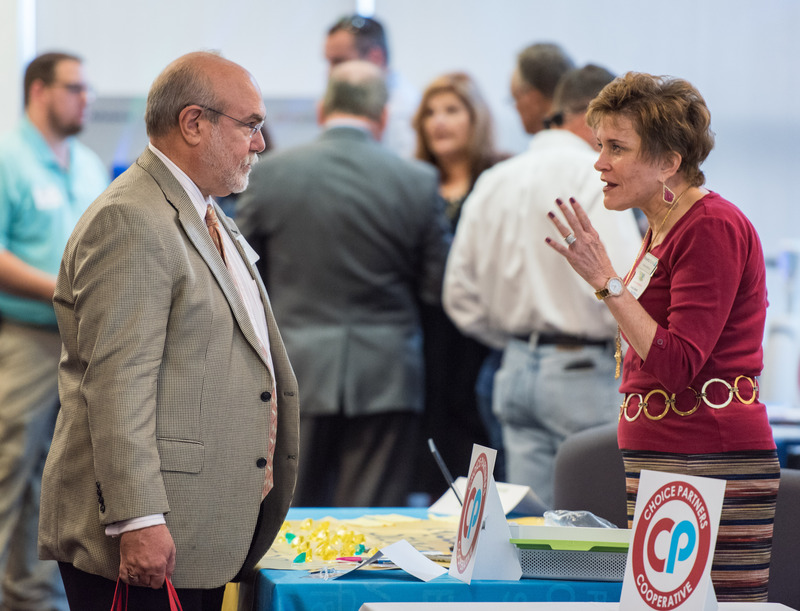 More than 200 purchasing and facilities professionals attended the Choice Partners Annual Vendor Exhibit on Oct. 27, at CityCentre in Houston. As members of Choice Partners, HCDE’s purchasing cooperative, these professionals had a chance to learn about important legislative updates and meet with more than 70 facilities, technology, supplies and services vendors. The event kicked off with a presentation from Sarah Langlois, an attorney with Rogers, Morris and Grover. Langlois provided attendees with updates to laws affecting purchasing professionals, particularly those who work in school districts. For example, Texas recently passed legislation that makes it illegal to enter into contracts with companies that boycott Israel. This means that school districts and other governmental entities need to add new language to their vendor registration packets verifying the status of their contract-holders. After Langlois’ presentation, the Vendor Exhibit opened up. It featured 80s-themed décor and costume, as well as many wearing orange and blue in support of the Houston Astros’ World Series games. Members spoke of the value of learning about new products, while vendors said they enjoy coming every year to put faces to names and get the word out about their business.